Double sided alternate 12 flag from here. My wife bought me a framed Russell Wilson picture from Costco. 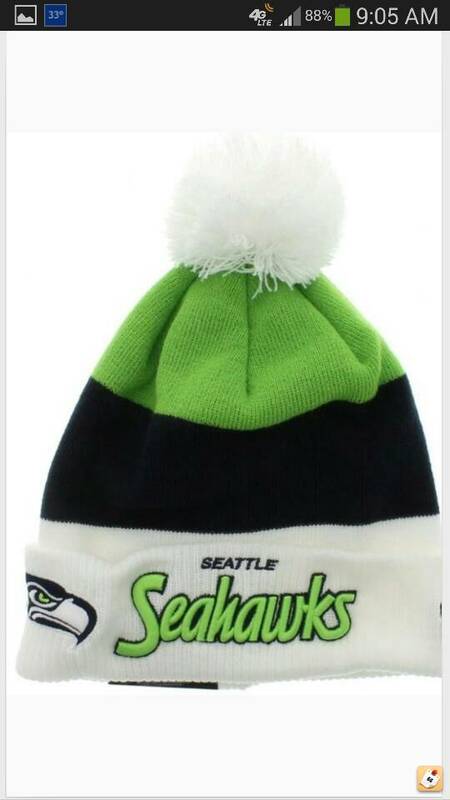 It has the official NFL seal on it and everything. Don't have a picture readily available. I hope to get it signed one day. 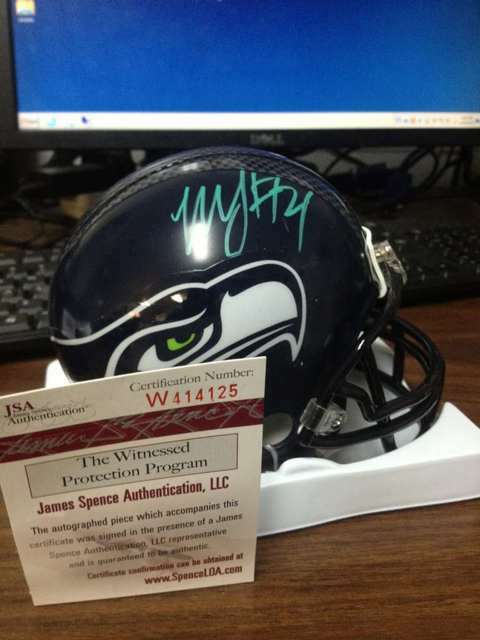 Also just bought a 2014 Seahawks desk calendar off Ebay that has stats, trivia, fun facts, etc. Something to get me through the offseason. Your standard cap, about 2 months ago. Before that a grey Wilson jersey! Aw, c'mon show us your duck face! Remind me of the hats I used to love as a kid back in the Midwest. All the cool t shirts on the fanatics shop sold out really quick so I was unable to get any of the ones i wanted but I got this for like 17 on ebay. In navy not this gray. 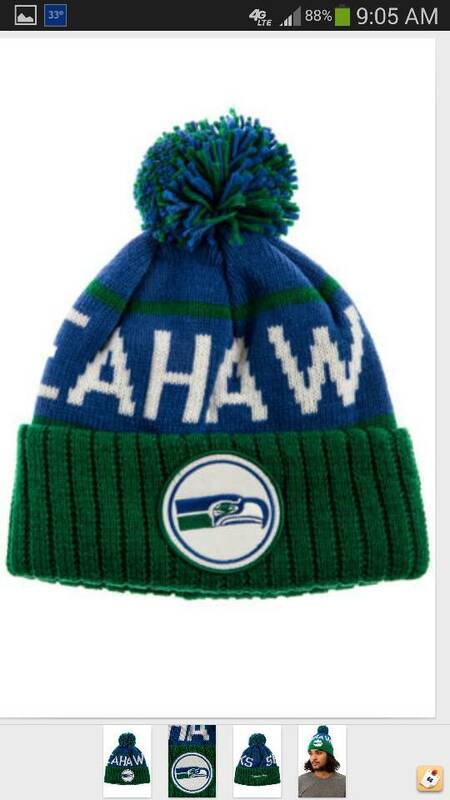 There are some seriously ugly beanies out there. 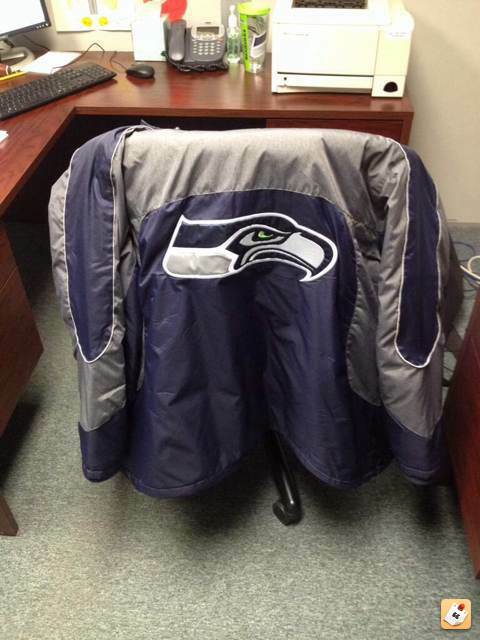 I bought this sweet winter jacket at the downtown Pro Shop the day of the Saints game. 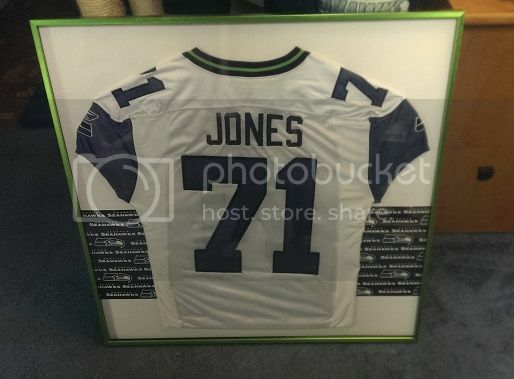 I scored this signed jersey on Seahawks.com almost a year ago, and finally just recently got around to having it framed. I want everything in this thread. Here's my most recent. I can't stop looking at it. OK, I am not a computer wiz so can someone tell me how the heck to upload a picture? Man alive I have looked everywhere. 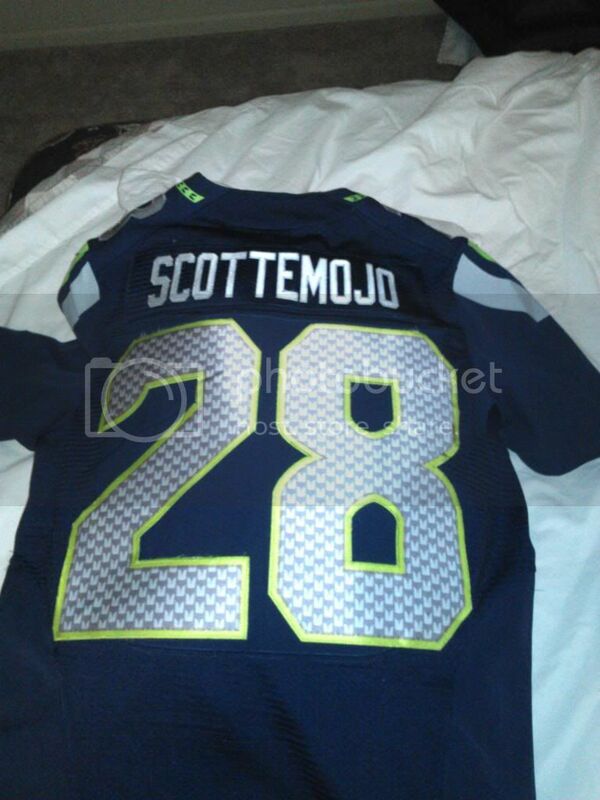 and this arrived just before the niners road game. Took a few weeks and I had to pay import tax also. In the back of mind I wonder if I've jinxed it. twelthmanfan wrote: OK, I am not a computer wiz so can someone tell me how the heck to upload a picture? Man alive I have looked everywhere. I use imgur.com. They make it pretty simple. I never would've pegged you as one of THOSE guys, Scott. Throwdown wrote: I never would've pegged you as one of THOSE guys, Scott. Present from the woman, Throw. She's a keeper. longsh0t wrote: Double sided alternate 12 flag from here. I've talk to this guy, I want the double side 3x5. Curious as to the overall quality. Is it heavy weight? Will it stand up to the elements? Did they fix the feathers on the side? 12 instead of what ever the first ones had. 16/18 maybe. Like I said, I want one but they are pricey and don't want something cheaply made. Those are sick. Dunce you got the ill shoe game!! Got this just today. Gift from my WORK on the AMBULANCE partner. He's not even a fan. Stop right there. I said ambulance partner. #24 sig. Purdy cool huh? 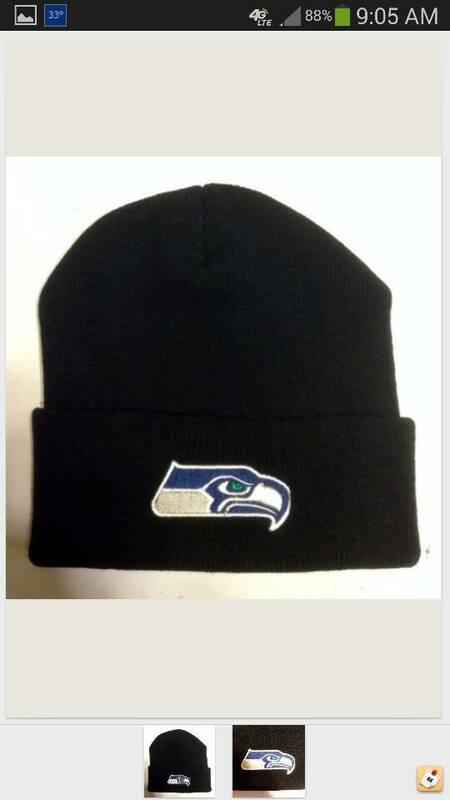 I bought mr dbmack the generic Seahawks cap you can buy at Walmart for under 10 bucks. He likes it and wears it everywhere. The last thing I bought for myself is a can cosy for my sodas. My Hawk Socks and team colored Nike kicks (no one sees my socks unless I'm wearing shorts *brrrrr*), I wear my kicks every week day though!! I think I may have to pick these up too! 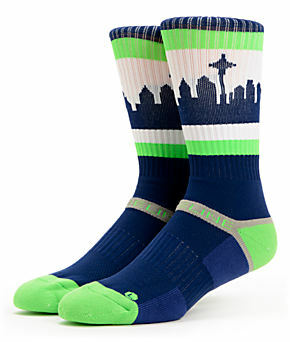 I did some NikeID Superfly 2's in a Seahawks theme though a few months back. Navy blue, grey and white. Went a bit more subtle on the green since I already have a few pairs of shoes with the green as an accent color. thanks, i've never seen the 2nd and LOB ones. 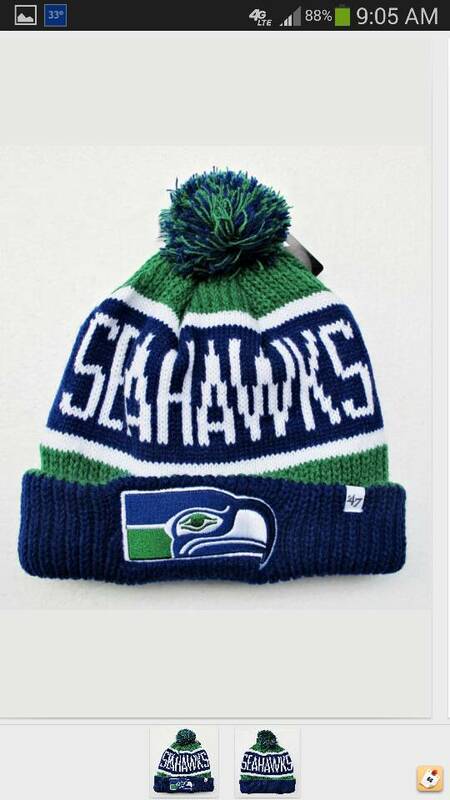 really like that legion of boom hat have a link to it? Last edited by ramchargerman66 on Tue Dec 10, 2013 4:40 pm, edited 1 time in total.